The RE-Amemiya D1-Spec Short Shifter will fit both the Mazda RX-7-FD3S and Mazda RX-8 equipped with 5 speed Transmission. The shifter is a plug and play application that effectively reduces the stroke by 5mm between gears while also 'solidly' engaging the gears, this may not sound like a lot but it makes a big difference. Shifting will be smoother with the upgraded brass collar compared to the OEM plastic collar and many owners report that they no longer miss gear changes during spirited driving. 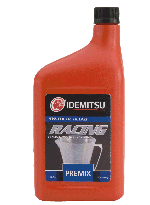 This is the same part as used on the RE-Amemiya RX-7 D1GP cars. Do note these are to fit the 5MT only and will not fit 6 speed MT equipped RX-8. In Stock and ready for UK dispatch. Built with a robust 53mm core, the R-Core Series is engineered for the serious performance tuner. Increased capacity means better cooling reserve when you need it. 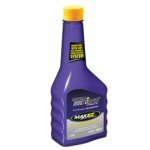 Intended for both circuit and daily use, you may double your coolant capacity and see up to 35% increased performance over your stock radiator. Unless noted otherwise, all Koyorad R-Series All Aluminum Radiators are Nocolok brazed, designed as a factory fit, direct bolt in with no engine modifications necessary, and retain mounts for the stock fan shrouds and fans. See notes in individual item descriptions for details. The KOYO R-Series - 53mm core double-pass radiator provides improved cooling coverage for both street and track applications. All fan mounts are situated to OE specifications, and using the OEM mounting locations facilitates fitment into the FD3s. Please allow 7-14 days for delivery depending on stock levels. Double Pass/ N-Flo Technology - Strategically placed partitions make for and "N" or "U" shaped flow through the radiator core. 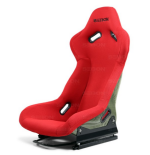 This allows for improved cooling efficiency compared to normal all-aluminum racing models. 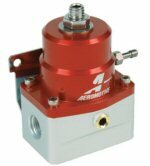 Ideally suited for forced-induction applications. This is a two piece hose kit from the famous hose maker SFS Performance This kit is designed to replace your Radiator top and bottom hose and comes in a range of colors to suit your build. 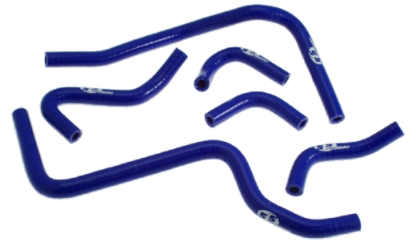 This is an ancillary hose kit from the famous hose maker SFS Performance, this kit is designed to replace your engines ancillary coolant hoses and comes in a range of colors to suit your build. Please note that this kit is sole as a 5 hose kit not the 5 hoses as pictures. you will not recieve the top hose in the picture. and one two of the hoses come made together (allowing you to cut them at a location of your choosing. for best fit on your engine setup. 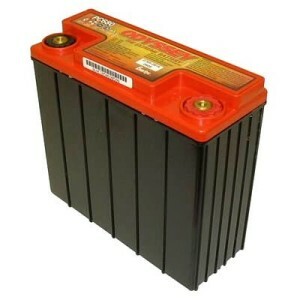 Please allow 7-21 days (in extreme cases lead time can be up to 6 weeks to manufacture at SFS) for delivery dependent on stock availability, If you need this part fast then please contact us prior to ordering so we can check lead times for you. 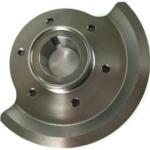 This lightweight aluminum unit reduces the flywheel weight about 29 percent from the original, and reduces the flywheel inertia approximately 55 percent. <p>The weight of the stock flywheel is 16.8 lbs compared to 8 lbs for the Racing Beat Aluminum flywheel. For additional security, the ring gear is bolted firmly in place to the flywheel assembly. Exedy clutches are standard equipment on Mazda RX-7 FD3s from the factory, are extremely durable and long lasting. Each Kit Includes a genuine Exedy clutch friction disc and pressure plate plus a high quality clutch release bearing. 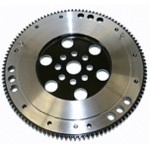 Why not add a Racing Beat lightweight flywheel and counterweight at the same time as your Clutch Install. If your are running anything over standard areas of power you may want to consider one of the uprated clutches we can offer from Exedy. EXEDY Sports clutches with organic friction materials use only premium friction materials that are resistant to slippage and burst. Increased clamp loads give the necessary capacity to handle modified engines. Torque Capacity Increase is 37%. The drivability will be like a stock clutch. Pedal efforts will be slightly higher because of the higher clamp loads. 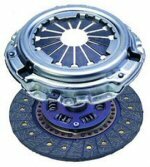 All of Exedy clutch discs have high capacity spring center dampers to reduce the drive train shock and impact. This Exedy kit comes as a 3 piece kit including genuine Exedy friction and pressure place plug a high quality clutch release bearing. This Kit is a great upgrade for heavy street or track day use. we would highly recommend combing this kit with our Racing Brake Braided clutch hose and Racing Beat Lightweight Flywheel and Counterweights for the ultimate in streetable performance. 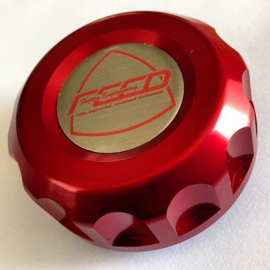 This FEED brake master cylinder reservoir cap is a nice little dress up item for your RX-7's engine bay. 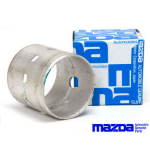 while many places offer oil filler caps no one other then FEED seem to do one compatible with the RX-7's brake master reservoir that is of such high quality. The Feed Logo comes detached so you can screw the cap on then position the logo as you like it. Made from Billet Aluminium its light and stylish. Available in Black of Silver with a selection of collars for universal fitting to most vehicles. Competition Clutch Flywheels are made from high quality 4140 forged steel with an integral ring gear to prevent the possibility of ring gear separation that can happen on the Original Mazda Flywheel. 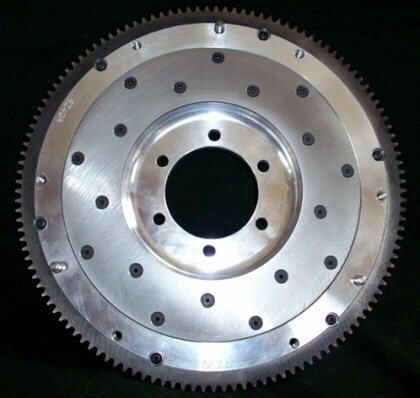 This Flywheel will require a counterweight to be purchased to enable installation of an aftermarket flywheel. These can also be purchased on our online store. This Part is compatible with both RX-7 and RX-8 however if fitting to a 192 RX-8 you will require a new 6 speed clutch assembly. More Responsive, Faster Revving, Less Inertia! 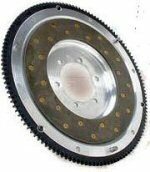 Essex Rotary bring you the Street Light Flywheel from Competition Clutch. These Flywheels are the considerably lighter than a stock Mazda Flywheel though heavier then both the CC Ultralight or Racing Beat Flywheels we offer. The CC Street Light Flywheel weighs in at 6kg (13.2bs) Competition Clutch Flywheels are made from high quality 4140 forged steel with an integral ring gear to prevent the possibility of ring gear separation that can happen on the Original Mazda Flywheel. This Flywheel will require a counterweight to be purchased to enable installation of an aftermarket flywheel. These can also be purchased on our online store. Please allow up to 7 days for delivery. This Part is compatible with both RX-7 and RX-8 however if fitting to a 192 RX-8 you will require a new 6 speed clutch assembly. This handbrake button CUSCO Japan is a replacement that will allow you to convert your standard handbrake mechanism in to a drift style fly off handbrake. Simply push in the spinturn knob and the ratchet mechanism is disabled allowing skidz to be carried out. To engage the ratchet system and lock the rear brakes for parking simply lift the brake handle then flip out the button with your thumb. A great little addition to any interior.. This button is made for the RX7-FC3s but will fit the FD3s and RX8 (Minor modification to the Handbrake or a small threaded stand off may be required for install on the RX or RX-8) in all cases the knob will need locking in position using loctite when installing it on the threaded shaft of the handbrake mechanism. High flow air filter for your RX7, serviceable every 50'000 miles this filter never needs replacing. Replace During a Clutch Change! 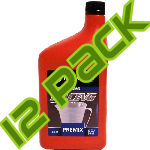 This is a 2 piece kit to replace the pilot bearing and grease seal found in the back of the Eccentric shaft during engine or clutch replacement. 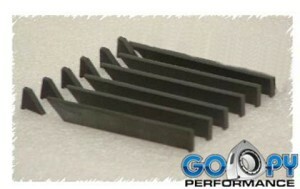 This set will fit most engines from the FB (12a) onwards and may fit older vehicles also. Set includes one "needle" Pilot Bearing one Pilot Bearing Seal. 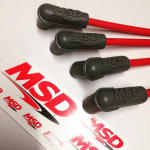 This simple sensor adapter is designed to be used when installing the Racing Beat oil sandwich plate or coolant hose adapter. Specifically when using certain sensors that have the standard US style 1/8 npt thread instead of the larger size that is machined in to the Racing Beat parts. Made from high grade aluminium with an blue anodized finish. 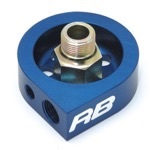 For either of the Racing Beat parts you will need one of these adapters. We recommend using a little PTFE tape on the threads to help with sealing. Exclusive to Essex Rotary in the UK. Offering the lightest streetable flywheel on the market worldwide, BHR lead the way in product innovation. When it comes to your powertrain the flywheel can be a limiting factor due to it's mass. While at slightly less than 17 lbs. the RX-8 has a lighter flywheel than most production vehicles, Black Halo Racing has gone further to develop a much lighter alternative. Our 9 lb. aluminum flywheel removes rotating mass in critical areas allowing more power to be translated to the wheels (which is where you want it, isn't it!). Our flywheel also has a replaceable friction face allowing you to reuse/repair the flywheel (if necessary) instead of having to buy a replacement should the need arise. Necessary counterweight is sold separately. High quality replacement clutch master cylinder for your 3rd generation RX-7 This item can sometimes fail due to age or the heat generated from big single turbo conversions. 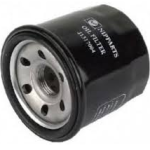 This is a high quality replacement clutch slave cylinder for use on your 3rd Generation RX-7. Common signs of failure are fluid leaks from the slave cylinder and a failure for the clutch pedal to return to its normal position when released. 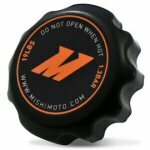 A high quality replacement for the plastic collar found on the bottom of your shifter. helping to reduce play in the shifter feel and increase the positive feeling of shifting gears. 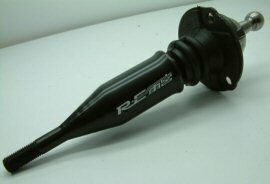 An original R-Magic part direct from Japan. Please not this is designed for use with 5 speed manual transmission gearboxes found in the RX-7 FD3s and 192ps RX-8. Not compatible with 6 speed RX-8 shifters. Essex Rotary brings you this new lightweight under drive pulley Kit replaces all three main pulleys (Main Eccentyric Shaft Pulley, Alternator and Water Pump Pulleys) plus the Power Steering Pump Pulley, reducing the potential for Water Pump cavitation and over working of the Alternator at the high RPM ranges the Rotary Engine can operate at. Cavitation is a process where by your water pump impeller acts like a "whisk" at high RPM beating air bubbles in to the coolant mixture, this process dramatically reduces coolant efficiency as the increasing cavitation effect reduces coolant flow around the engine. Each kit comes with 2 new belts (alternator/water pump and air conditioning drive belts) made by Gates to suit your new setup as the OEM size belts will no longer fit. 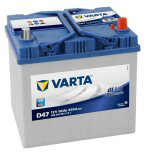 This item is normally in stock however please allow up to 21 days for delivery of your kit if we are out of stock. 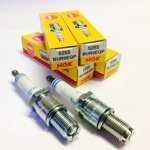 SEIBON parts are special order only so please contact us for estimated delivery times if your in a hurry for your part. Due to the nature of these products being hand made we are unable to offer a guarenteed estimated lead time for delivery once your order is placed. 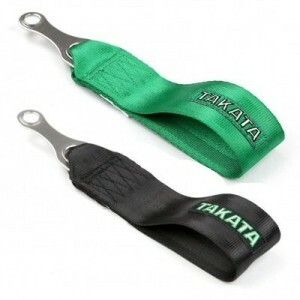 TAKATA Tow Strap with bendable stainless steel bolt-on hardware for up to 7/16“ or max 12 mm bolt. Fixed length at 170 mm (length of the strap). Capable of pulling over 1800 kg (4000 lbs) and meets German DMSB standard (2006 Technical Standards and Definitions: Safety - Part J) for minimum size towing straps. Can be universally mounted at the front or rear of most vehicles. Please select your color choice from the drop down menu. Please allow up to 28 days for delivery if out of stock. 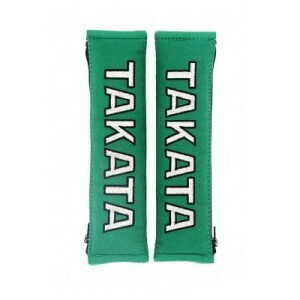 TAKATA 2-inch Shoulder Pads. 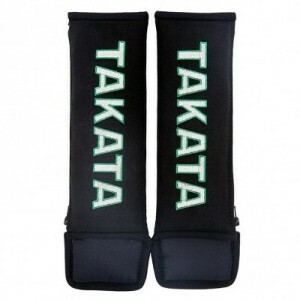 These 2" pads have been designed for use with either factory 3 point harnesses, or 2" shoulder webbing on a Drift II. 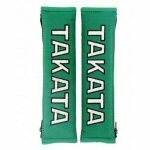 Takata have designed their harness pads to spread the load and cushion underneath the harness strap to provide extra comfort to the driver or passenger. Very soft and luxurious fabric on the outside, filled with foam for ultimate comfort. To attach the harness pads you simply wrap them around the strap of the harness then ensure the zip is zipped all the way up to provide a secure fit. Supplied as a pair. Please select your color choice from the drop down next to the add to cart button. 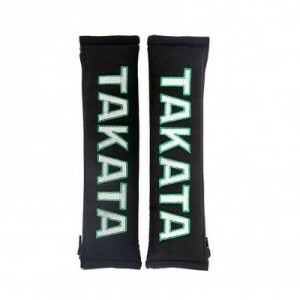 TAKATA 3-inch Shoulder Pads. These 3" pads have been designed for use with either factory 3 point harnesses, or 3" shoulder webbing on a Drift II. 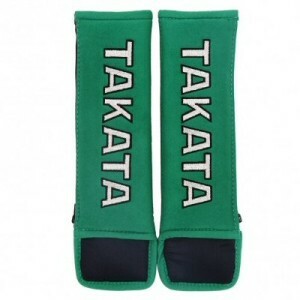 Takata have designed their harness pads to spread the load and cushion underneath the harness strap to provide extra comfort to the driver or passenger. Very soft and luxurious fabric on the outside, filled with foam for ultimate comfort. To attach the harness pads you simply wrap them around the strap of the harness then ensure the zip is zipped all the way up to provide a secure fit. Supplied as a pair. Please select your color choice from the drop down menu next to the add to cart button. Please allow up to 28 days for delivery it item is out of stock. This is a rear counterweight to fit the 13b-REW found in the RX-7 FD3s These counterweights are required if you are installing an aftermarket lightweight flywheel such as our Racing Beat lightweight flywheel or an uprated clutch/flywheel kit. 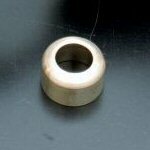 Make sure your order one of these with your new flywheel or it cannot be fitted. Please note that this item is compatible with the 13b-REW engine found in RX-7 FD3s if your using the 13b-REW Engine in another vehicle this is still the counterweight you will require. 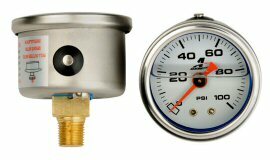 The Mishimoto racing thermostat for the 1989-1995 Mazda RX-7 will promote greater cooling efficiency throughout your engine. The Mishimoto racing thermostat will significantly lower high engine temperature produced by modified and upgraded turbo applications. Once the engine is fully warmed up the Mishimoto racing thermostat will open up 14– C lower than OEM thermostats, allowing the coolant to flow through the engine sooner thus reducing and maintaining cooler engine temperatures. 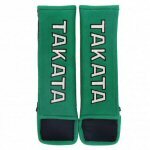 Ideal for all you track day nutters but equally at home on the street. This is one of our optional upgrades during customer engine rebuilds. The Mishimoto performance aluminum radiator for the Mazda RX-7 FD3s is the ideal upgrade to the stock FD radiator. 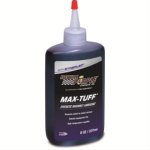 Designed and specifically engineered to maximize cooling efficiency by up to 30%, boost engine functions and protect your car from overheating. Whether you use your FD3s for daily driving or take it to the track, many people overlook the importance of installing an upgraded radiator in their engine. A stock radiator can not handle the heat that comes along with having a great deal of horsepower. 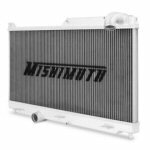 The Mishimoto Mazda RX-8 radiator features a lightweight dual core, 100% brazed aluminum, and polished end tanks. Every Mishimoto Performance Radiator is a direct OEM fit, making installation effortless, no cutting or modification is required. 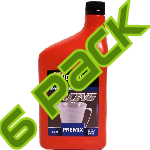 This item is for Manual Transmission vehicles. For automatic applications, please purchase optional Mishimoto transmission cooler. All Mishimnoto products are backed up by their lifetime warranty. 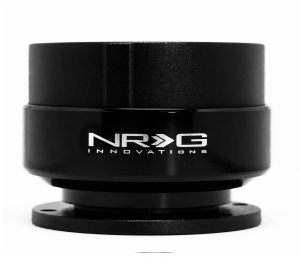 The NRG generation 2.0 Quick Release features many options that conventional ball-locking quick release system do not. The Generation 2.0 is specially engineered with raised sections to prevent the scratching and stretching of the hub while a self locking feature adds increased safety and functionality. Features a black body with Black ring for added style and look. Each unit is made from the highest quality aircraft grade aluminum and is anodized for maximum durability and finish. Other color options available upon request. 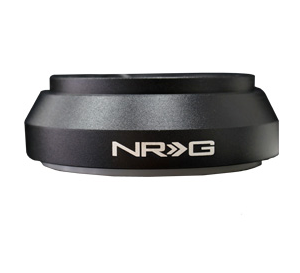 The NRG generation 2.0 Quick Release features many options that conventional ball-locking quick release system do not. The Generation 2.0 is specially engineered with raised sections to prevent the scratching and stretching of the hub while a self locking feature adds increased safety and functionality. Features a black body with Black ring for added style and look. Each unit is made from the highest quality aircraft grade aluminum and is anodized for maximum durability and finish. The Carbon Hub is finished in real high gloss carbon fibre, not simply a cheap quality wrap. Other color options available upon request. Used to install aftermarket steering wheels on to your standard steering column, These short hubs are the perfect choice if you want keep things compact when installing with a quick release, a deep dish (corn) wheels or both. NRG Innovation has developed another complement to our quick release steering kits. These units were designed specially so that an aftermarket steering wheel installed with the quick release kit still mounts in the same location, not too close to the driver. 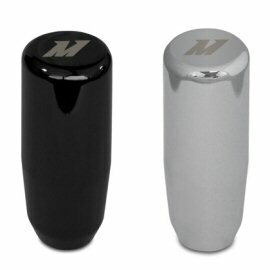 Made from the highest quality aluminum. Our Short Hubs are made to work with our Quick Release Products. This product is designed utilizing one piece solid construction for the maxim in durability and usability Compatible with RX-7, Rx-8 and MX-5. Water Methanol Injection at its finest! 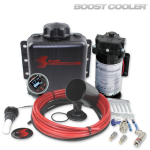 The gasoline Stage 1 Boost Cooler™ kit is available for forced induction applications that are either fuel injected or carbureted. Operation is very simple: the system starts injecting when the boost switch reaches the user-adjustable point and it injects a fixed amount of fluid through the nozzle until the switch opens again. 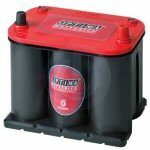 This makes it a good choice for low boost setups looking for an octane enhancement and cooler intake charge. Activation can also be set up through any other user-chosen switch, such as a full throttle switch, etc. 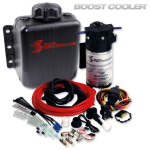 Obtain up to 10-25% more power in your turbo- or supercharged engine, even if it´s pre-tuned, by using the Boost Cooler?-Water/Methanol Injection System! Furthermore, the Boost Cooler doesn't create an intake restriction like an intercooler, and unlike race gas, it reduces intake air temps up to 60°C and improves charge air density too! 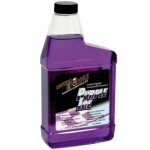 Snow Performance systems effectively steam clean intake when they inject. This reduces carbon build up. The Boost Cooler? can be installed in a matter of hours without having to remove bumpers or do custom intake piping. 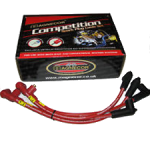 Snows most popular kit for low/mid boost engines (<1.7bar) - with Variable Injection (VC-20) and 300PSI/20bar Pumpsystem ! Water, with its high latent heat content, is extremely effective for controlling not only the onset of detonation but also the production of oxides of nitrogen in the modern lean burn engines.Furthermore, the Boost Cooler doesn't create an intake restriction like an intercooler, and unlike race gas, it reduces intake air temps up to 60°C and improves charge air density too! 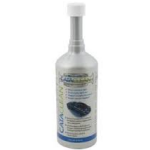 Snow Performance systems effectively steam clean the intake when they inject. This reduces carbon build up. The Boost Cooler? can be installed in a matter of hours without having to remove bumpers or do custom intake piping. This kit uses manifold boost pressure to determine when and how much fluid to inject. 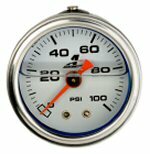 Proportionally injecting according to boost pressure gives the most accurate delivery of water-methanol and allows the most cooling and performance improvement over the widest range. More power and driveability is the result! 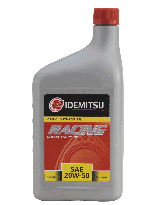 It can be used on any forced induction engine. The most suitable are the centrifugal supercharged and turbocharged engines, as they build boost is a more progressive manner concerning water-methanol injection. The positive displacement blower engines will work, but it might take more work to dial in the delivery. New: You can switch to a 0-5 Volt output signal from the Mass Air for injection controlling. The all new Snow Performance Stage 2 Boost Cooler water-methanol injection system comes fully revamped for all boosted (turbo- and supercharged) vehicles and uses a progressive 52mm-gauge style controller that proportionally injects more or less according to boost pressure. 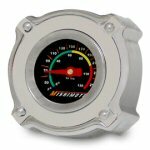 Start and full points are adjustable for engagement and delivery curve to match what the engine requires. Proportionally injecting according to boost pressure gives an accurate delivery of water-methanol and allows cooling and performance improvements over a wide range for improved drivability. The Stage 2 has the ability to progressively command 2 Hyper-Sonic™ Nozzles independently of one another. 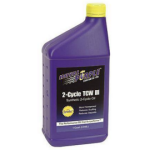 This sophisticated dual stage injection management yields the highest increases in HP and cooling along all stages of the engine allowing you to greatly increase the boost & timing of your vehicle safely. The settings on OLED control unit can be made within a few seconds without any prior knowledge. The only thing you need to determine is at what boost pressure the injection is to begin and what the maximum boost pressure is. 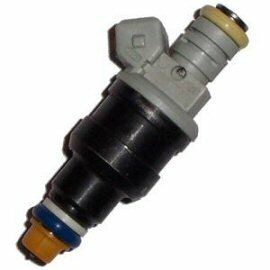 - The variable injection of the Boost Cooler is performed within these two preset boost pressure points. By using the optionally Dual Stage Technology, you´re able to set a 2nd nozzle mapping for optimized injection quantity especially at higher engine load states. For positive displacement superchargers (Eaton, Twin Screw) and small fast spooling turbos see (e.g. K03/K04 turbochargers) use the Boost Cooler Stage 2 MAF or our Stage 3 kits for best performance. 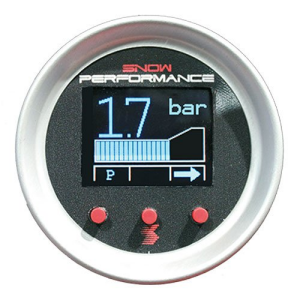 Die Europe-Edition (display & programming in BAR) is exclusively available only by Snow Performance Europe and its European authorized dealers. Our Top system for your Turbo-/Supercharged car. 2D-Mapping thrugh fuel injection and/or boost. Easy programmable LCD-display incl. new Dual Stage Technology and terminated weather tight OEM harnessed wiring connections ! Award winning system - The controller creates a delivery map based boost and/or EFI signal. 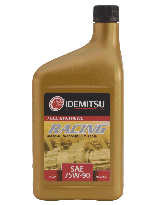 For all charged and naturally aspirated engines with traditional EFI system. Water, with its high latent heat content, is extremely effective for controlling not only the onset of detonation but also the production of oxides of nitrogen in the modern leanburn engines.Furthermore, the Boost Cooler doesn't create an intake restriction like an intercooler, and unlike race gas, it reduces intake air temps up to 60°C and improves charge air density too! Award Winning System! 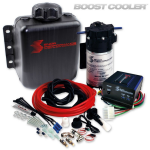 - The Stage 3 Boost Cooler® is unmatched for accuracy and adjustability in water-methanol injection systems! 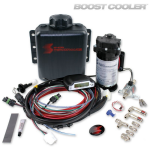 This system can be used on any forced induction engine, or ANY engine with a traditonal EFI system, and features our LCD display with on-the-fly adjustability. The Stage 3 has the ability to progressively command 2 Hyper-Sonic™ Nozzles independently of one another. 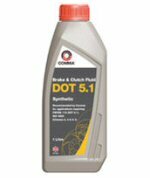 This sophisticated dual stage injection management yields the highest increases in HP and cooling along all stages of the engine allowing you to greatly increase the boost & timing of your vehicle safely. The DST-Upgrade is already included in the Stage 3 systems. 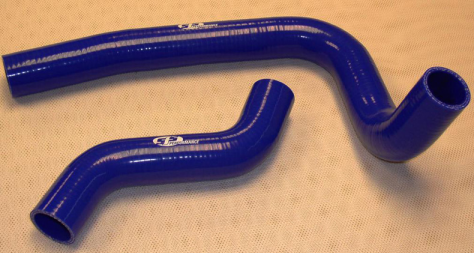 This is the Greddy Elbow (compression tube) leading into the throttlebody for the 93 - 95 RX-7's. 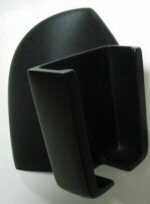 This elbow improves the airflow into the throttle body giving less restriction. This elbow unit itself will not mate to the stock intercooler. Additional piping kit is required for stock intercooler usage. 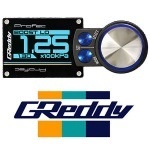 The GReddy Elbow has always been a popular upgrade and an excellent option for those looking to install pre-throttle body injection nozzles such as nitrous or water injection. Genuine TRUST GReddy 80mm TR Downpipe for your twin turbo setup FD3s. These improved downpipes (also known as "front pipes" ) can reduce lag and due to a reduction in backpressure immediatley after the turbo and help increase boost. 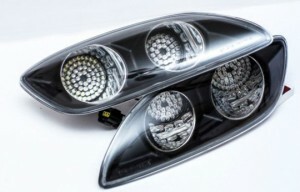 Usually a 6-8 week wait from the date of your order being placed due to them being special production order from GReddy. This kit is used when removing Air Control Valve (ACV) to simplify the intake manifold and engine bay in conjunction with removal of the air pump. Made from 8mm aluminium with an anodized finish. Not suitable for 13b REW engines still running the stock air pump system. This Kit contains 3 blanking plates. Please allow up to 3 weeks if these items are not in stock. 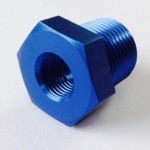 if you require this part quickly please contact us before ordering. Nur Spec R exhaust system. Blitz Nur Spec-R Cat-Back Exhaust System for Mazda RX 7 1993-1995. Blitz NUR Spec-R exhaust resonates a nice deep tone without that crackling noise that you may find on other inferior exhausts. 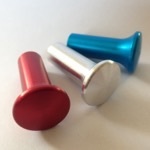 The 1-piece straight pipe design allows easy flow and less backpressure, and therefore may result in a fairly loud tone if used without the silencer. Completely out of Stainless Steel and mandrel-bent, every part of this exhaust shows quality and performance as expect from the renowned Blitz. Also included are stock factory mounting brackets, hardware, and gaskets to make your installation a snap. 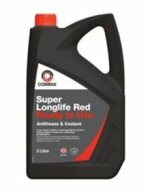 Please allow up to 4 weeks for delivery if not in stock within the UK, if you require your order quickly please contact us prior to ordering to confirm stock levels. Nur Spec S exhaust system. Blitz Nur Spec S Exhaust System is a stainless steel exhaust. Blitz exhausts utilize a slanted mounting design which elminateds unnecessary bends. The specifically designed muffler and large diameter mandrel bending piping has no reduction of inner diameter in bend areas. 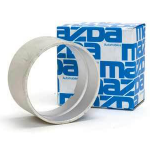 The constant piping diameter size allows for superior exhaust flow. The most impressive feature of the blitz exhaust system is the quiet tone (with the silencer on). And its aggressive tone with the silencer removed. The blitz exhaust system comes with all necessary hardware and gaskets for a hassle-free installation. Please allow up to 4 weeks for delivery, If you require this part quickly please contact us prior to placing your order so that we may confirm stock levels. This famout induction kit from Blits Japan uses their C4 Cores (Air Filters) these versions of the Filter are shorter and thus more compace making them ideally suited for modified engine bays where space may be an issue when compared to the their C3 Core Version. 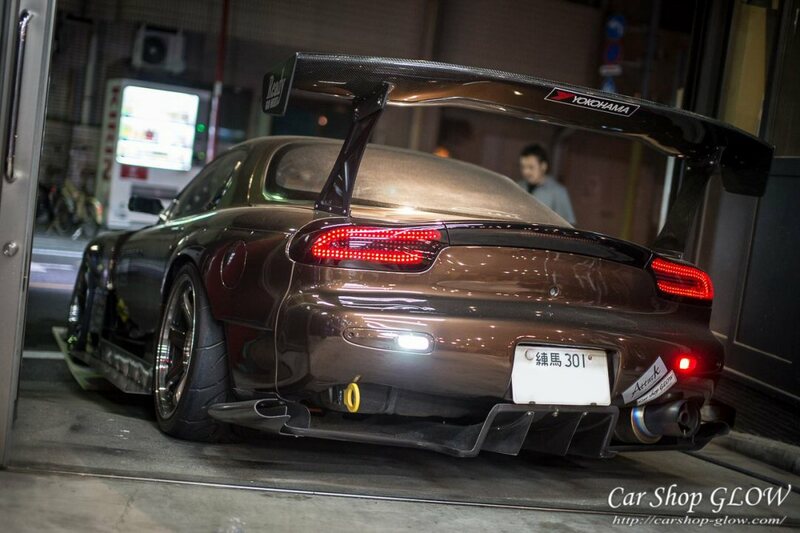 For RX-7, FD3S, 13B-REW running Twin Turbo Setup. 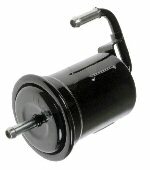 The BLITZ SUS Power air cleaners are made from top quality T-304 stainless steel. Totally unique, the entire filtration element is made from a fine stainless steel T-304 mesh (200 micron mesh and 150 micron crown). This mesh means the filter will never wear out, and have substantially less restriction than any other filter. Another feature is the super fine pattern of the mesh. This straightens the airflow and dramatically reduces aerodynamic tumble (restrictive turbulence). The BLITZ air cleaners also have fine mesh at the top of the filter, further improving the airflow capabilities. Unlike anything available in the market today, the BLITZ SUS Power air cleaner is by far the best performing and best looking automotive air filter money can buy, which include all the necessary pipe, brackets, and adapters. Please allow up to 4 weeks for delivery, if you require your order quickly please contact us prior to ordering so that we may confirm availability. 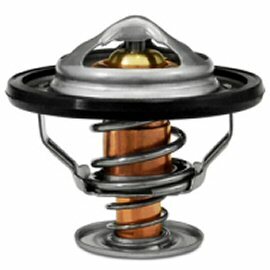 Advance Power Induction kits use a stainless steel mesh filter with an aluminum variable cooling shield. They have the same flow efficiency as the SUS Power filters and the heat resistance performance of the Sonic Power. 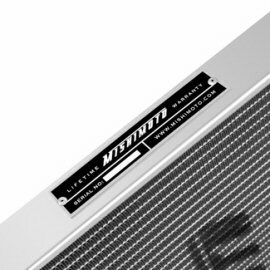 The stainless steel mesh filter enables maximum flow with an aggressive induction sound. Large diameter cooling shield keeps air temperatures low by reflecting heat radiation. Racing look is achieved with a buffed alloy shield and anodized blue top ring and locking plates. Large diameter funnel enables high flow efficiency. This is a complete induction kit and includes everything needed to install onto your vehicle. Please allow up to 4 weeks for delivery of your order, If you require this part quickly please contact us prior to placing your order to confirm availability.